If you want to save all your favorite music or just some of them, we highly recommend PodTrans to you. 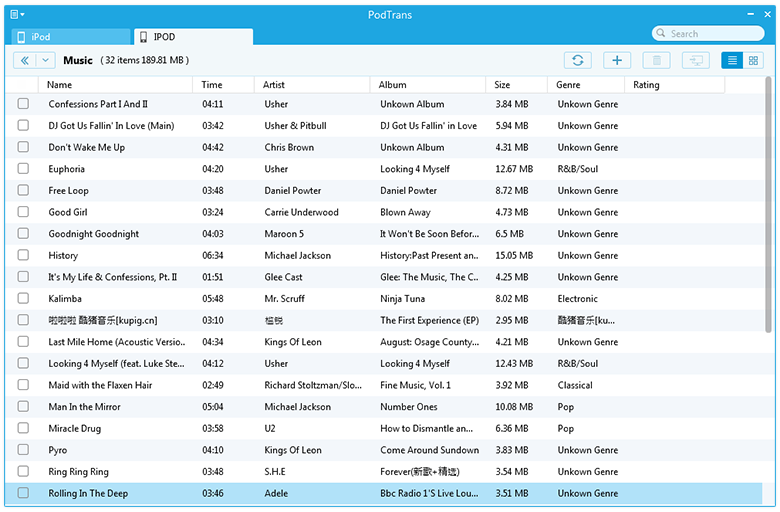 It is a totally gratis iPod media transfer tool that assists you to transfer some or all music from your iPod device to your PC & Mac. Now, please perform by the following steps to start exporting music to computer for free. Note: Before transfering iPod songs, please make sure of your iPod's "Enable Disk Use" option is checked. Step 1: Connect your iPod to the computer. 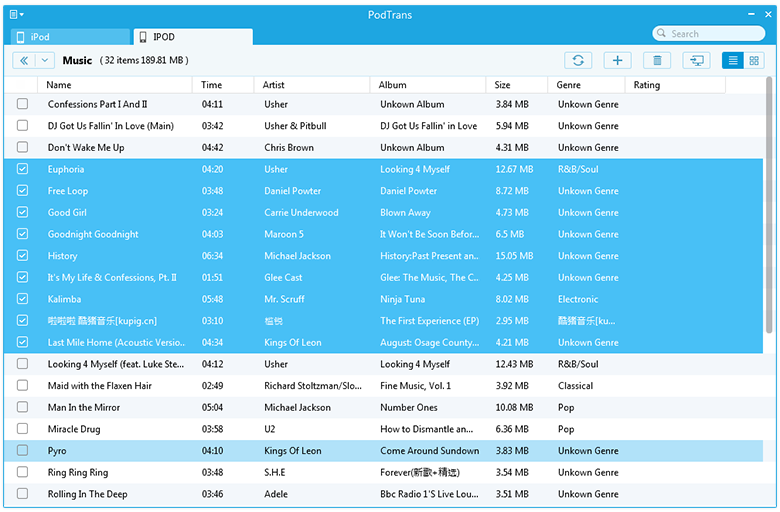 Then, there is a main interface of PodTrans appeared. PodTrans only supports one device at once. 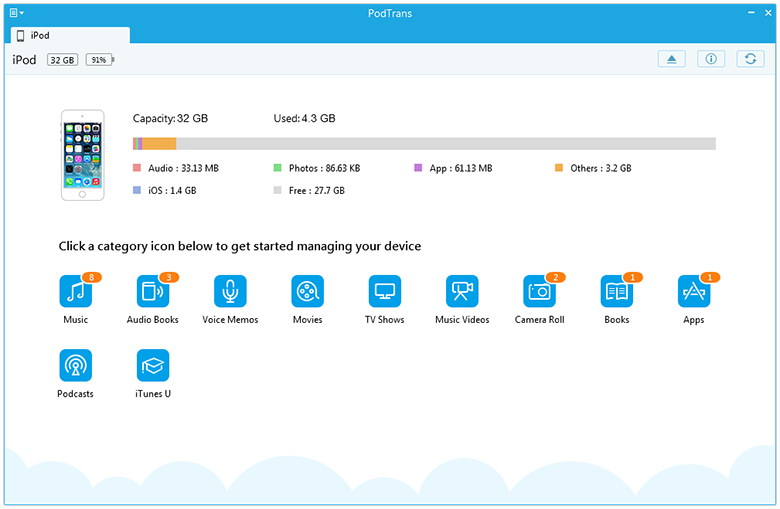 If you want to manage several devices at the same time, please upgrade to PodTrans Pro version. Step 2: After plugging in your iPod, you will find the category icons below to get started managing your device. Click Music tab to access the songs list window. Step 3: Highlight the songs you want to export. Then you can transfer particular songs to the computer. Step 4: Click this button and set the destination folder for your music, and then click OK to start transferring music from iPod to computer for free. 1. Make sure the target output folder has enough free space. 2. Generally speaking, PodTrans just takes several seconds to transfer a song. However, the transferring speed also depends on USB cable, computer hard disk format, as well as other external factors.